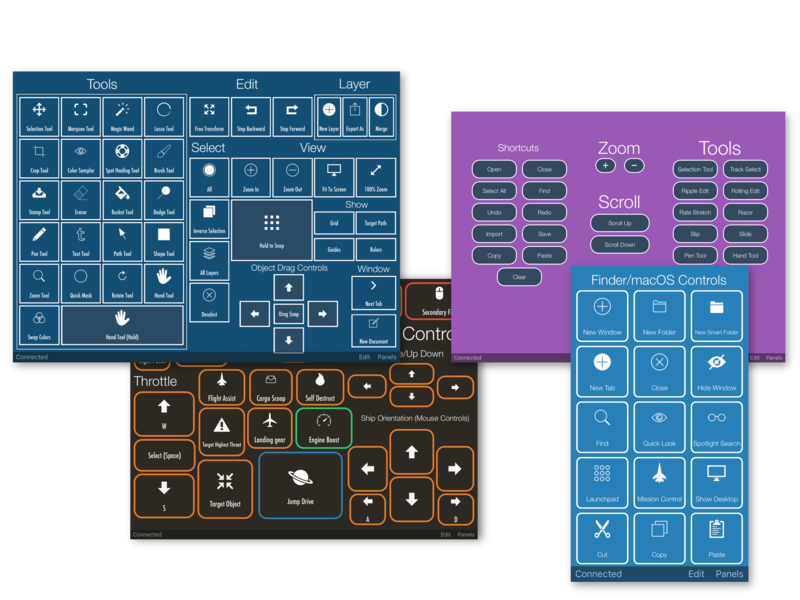 ActionPad lets you create custom control panels for desktop applications on your iOS device. ActionPad is an app that allows you to create your own custom control panels to remote control applications on your computer. 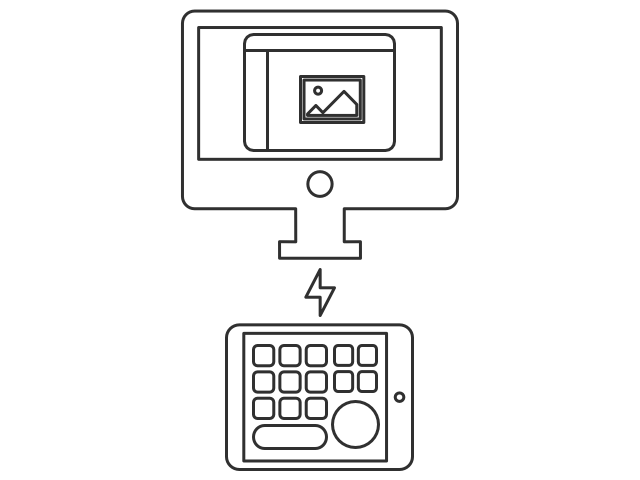 Panels can contain buttons and other objects, which can be used to simulate keyboard and mouse input, as well as open files and URLs. Drag and resize elements around to organize your panel however you like, and customize objects to give them a distinct look. Get ready to make your keyboard and mouse jealous. ActionPad is designed to compliment your keyboard and mouse rather than replace it. Instead of memorizing tons of shortcuts and repeating the same repetitive tasks, create ActionPad control panels that let you automate all of your most common tasks and most commonly used shortcuts. Along with being able to create your own panels, you can also share panels with the community and use panels created by the community. It's very easy to get started, and anyone can download community created panels. For information on how to use ActionPad, please visit the ActionPad usage guide. Designed by Andrew Arpasi. | Please use a modern browser.| Do not copy.